Touch Of Belle : Product Of The Week! So today I thought I would do something a little bit different and I thought I would do a new series on my blog "Product of the week" I will post this every Sunday and it could be on anything! So lets get started! 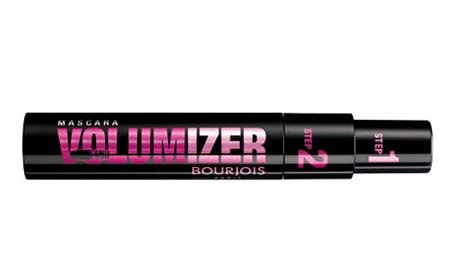 This week I have been loving my Bourjois 2 in 1 mascara it is really volumizing, lengthens your eyelashes. This is great for everyday and night time occasions as it allows you to build it up to get the effect you are looking for. The tube lasts a long time I brought mine 4 months ago and im only just starting to run out which is great as normally my mascara only lasts me for 3 months. The mascara comes with 2 brushes/ steps step one is to grab all the lashes and separate them and the 2nd step is to volumize and lengthen. What have you been loving this week? Let me know below! Hey lovely I have nominated you for the Libster award. Please check out the link below to find out why. Great pick, I recently picked a mascara for my blog pick of the day and am always looking for great recommendations. I might try this one next. Thanks. Thanks I love mascara I wouldn't be without it! If you try it let me know how you get on! This looks great, i'm in the market for a new mascara and this could be the one!